No one does a two-minute drill like Radiator Hospital‘s Sam Cook-Parrott. Packing worlds into little packages, he doesn’t mess around and he doesn’t hang around. 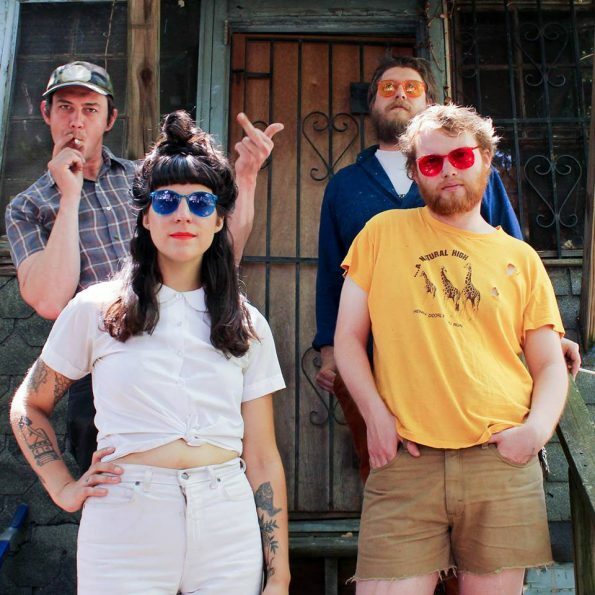 Into a catalog littered with indelible moments like “Our Song” and “Cut Your Bangs” comes a new full-length entry, Radiator Hospital Play The Songs You Like, out today October 19th on Salinas Records. What started as a vehicle for Cook-Parrott’s songs has evolved fully into a band, their power marked by that moment when they kick in, 44 seconds into “Out Of Mind,” and it soars. Cook-Parrot’s lyrical vision more often than not focuses on songs about songs this time out, including the title track and “Pastoral Radio Hit,” extending to examining band/audience interplay in the towering “The People At The Show,” which gives way to “Dance Number,” a love song to the ways music helps up cope with a world gone mad. “I find meaning in this life/when i wake up every day/and I’m feeling sick and tired/in new and frightening ways” stands as legit a post-election mantra as we could hope for. Finishing off with a pair of songs by and for the band Martha, “Sycamore” and “Absolutely Positive,” Play The Songs That You Like not only continues the hot streak of Something Wild and Torch Song, but marks the most cohesive distillation of Radiator Hospital to date. The album can be purchased directly here.